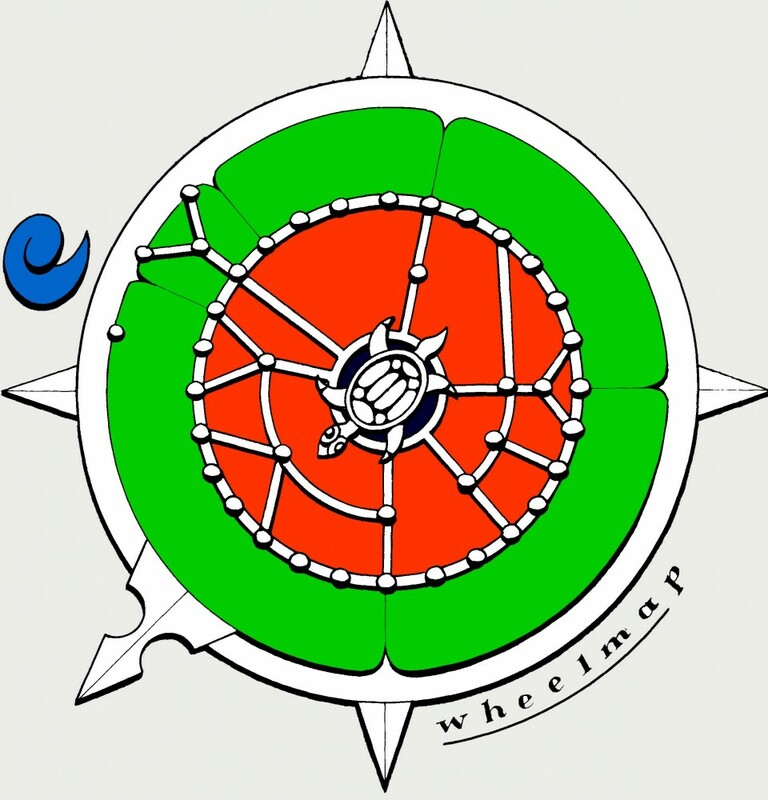 A wheelmap is a symbolic representation of the Three Lands: the Black Land of Osrakum, the Red or Guarded Land and the Green Lands of the barbarians. 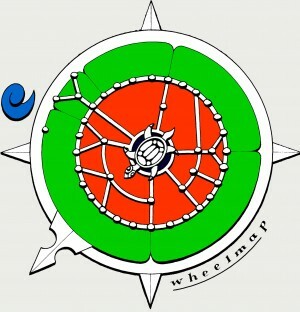 The diagram shows a wheelmap as a compass rose aligned to the south west from where the Rains come. The system of raised roads is shown with all the cities along with a ‘sea-wave-curl’ glyph which indicates that the sea lies to the north west.